Two lectures based on the Yoga Aphorisms of Patanjali by Swami Prabhavananda. 120 minutes US DVD, sepia -toned black and white video. 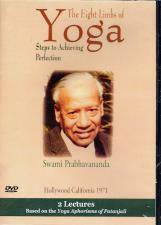 Two lectures based on the Yoga Aphorisms of Patanjali by Swami Prabhavananda. One long-time member remarked after viewing the video, I was amazed how after all these years the swami's spiritual presence shined through. This lecture is a perfect introduction for new people to the spiritual practice of Yoga, yet has a wealth of material for long-time practitioners. The talks make Vedanta seem new and fresh all over again." 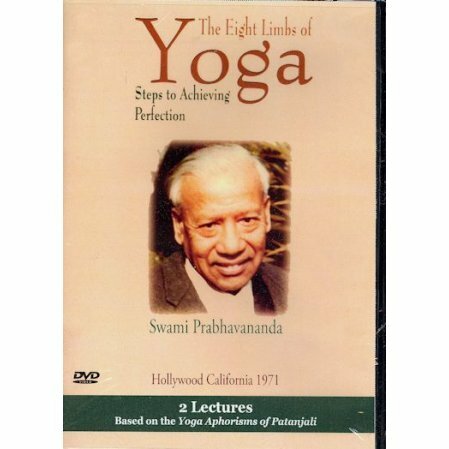 About this DVD: Originally video-taped in 1971 in black and white on a video format, these two lectures by Swami Prabhavananda have not been available to the public until the release of this video. To preserve our valuable historic materials, Vedanta Archives transferred the archival film footage to digital media. Fading of the image has occurred, but we hope viewers will appreciate the opportunity to see this rare footage. Check out the video in the tab.